BSNL's Unlimited Combo Broadband plan @ Rs 249 extended..
General News: BSNL's Unlimited Combo Broadband plan @ Rs 249 extended..
General News BSNL's Unlimited Combo Broadband plan @ Rs 249 extended..
After announcing up-gradation of post FUP download speed of unlimited broadband plans to 2Mbps, state run telecom major Bharat Sanchar Nigam Limited (BSNL) has announced the extension of its most popular and economical Unlimited Combo Broadband plan @ Rs 249 till 30th September 2017 in all the circles. BSNL extended this promotional scheme is till 30th June 2017. Now based on the encouraging response from customers, BSNL authorities has decided to extend the scheme further for a period up to 30-09-2017 in all the circles except Jammu & Kashmir and Andaman & Nicobar circles. 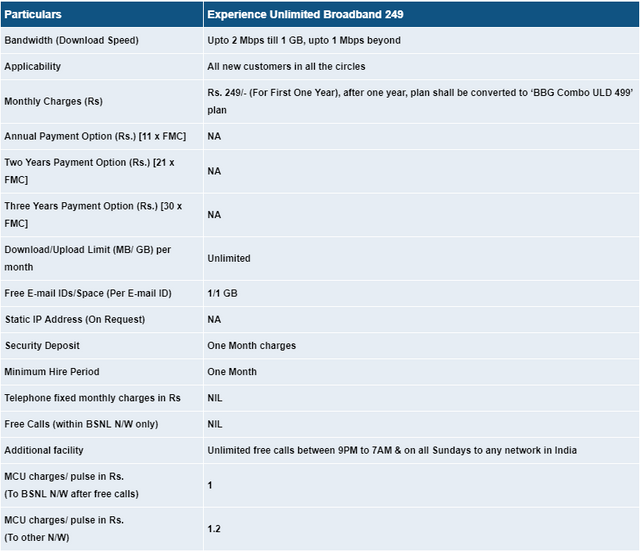 All other terms & conditions for availing Broadband plan 'Experience Unlimited BB 249' shall remain same. This promotional plan will be available for a period up to 30th September 2017 in all the Circles (except J&K and A&N Circles). *The plan shall be available only for the new Broadband customers. 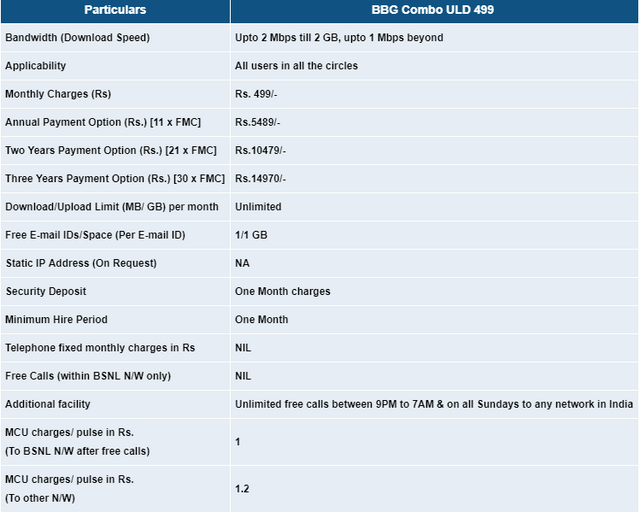 *The plan shall also be available on FTTH with the same tariff. *Installation charges for both landline and broadband shall be waived off during promotional period. *After one year, plan shall be converted to 'BBG Combo ULD 499' plan. Customer's consent in this regard shall be taken at the time of CAF filling. 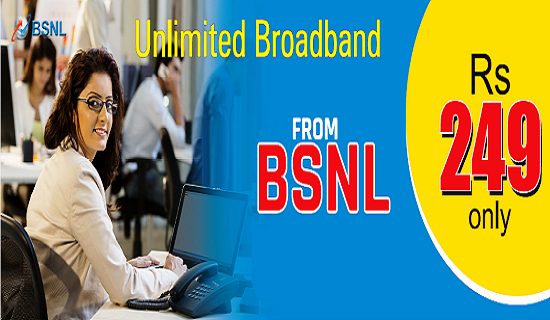 For those are wishing to take a new broadband connection from BSNL, this is the right time since BSNL will give you TRUE Unlimited Broadband internet access @ just Rs 499 per month and that too without any initial charges. Installation charges of both landline & broadband are completely waived off for new customers in 'Experience Unlimited BB 249' plan.